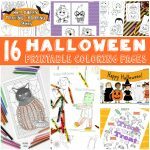 These Monsters Halloween Coloring Pages for Kids will be just perfect for the upcoming Halloween night, or simply any other day. 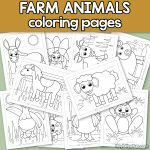 Have fun coloring these unusual creatures and make them as colorful as you can with your favorite crayons or markers. 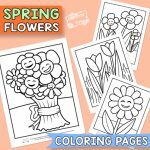 These coloring pages will surely keep your kids busy at least for a while. Grab those cool markers and let the monster coloring begin! 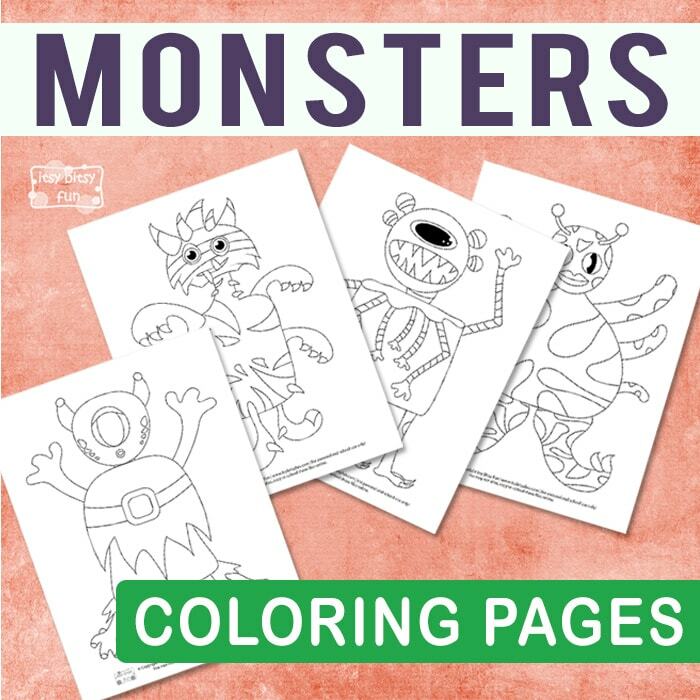 The free monster coloring pages for kids include 4 unique designs of giant monsters. Each monster has a bunch of details that need coloring, so let’s give them some vivid colors. On the first page, there is a big monster with 6 hands and two legs. The second monster has 4 legs and two hands. It wears a super-hero clothing with a big belt around it. On the third page, there is a giant monster with some sharp teeth. It has 7 thin hands, 4 legs, and a body in a shape of a square. The last monster has 2 teeth, 5 horns, 4 hands and 2 legs that need coloring. 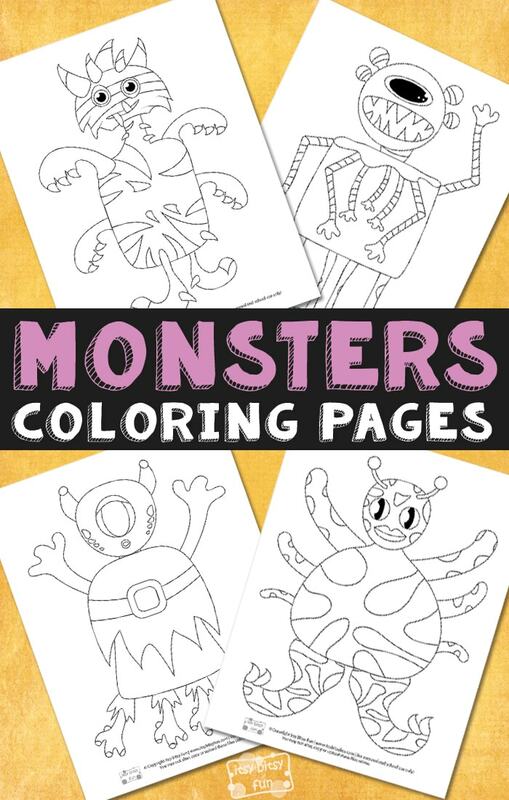 Of course, there are no right or wrongs when it comes to monster coloring, so let your kids choose the colors they see fit. 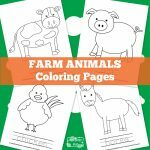 After they finish coloring these awesome monster coloring pages, you can encourage them to make up stories about where these creatures live, what they like to do, and what kind of superpowers they have. Your kids will practice their fine motor skills, stimulate their creativity and enjoy coloring at the same time. So, scare away all the fears and let the monster fun begin! 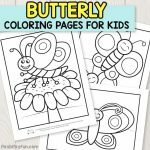 Get your free Monster Coloring Pages here. Practice writing with these adorable and free Alphabet Tracing Worksheets and print out the Dinosaur Printable Preschool and Kindergarten Pack.